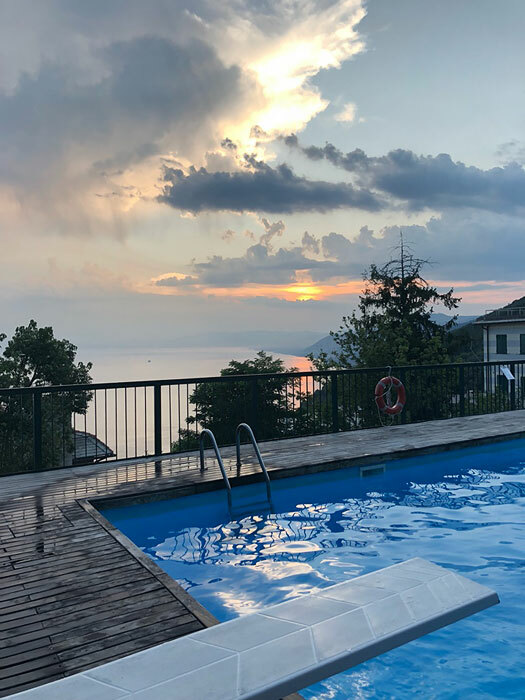 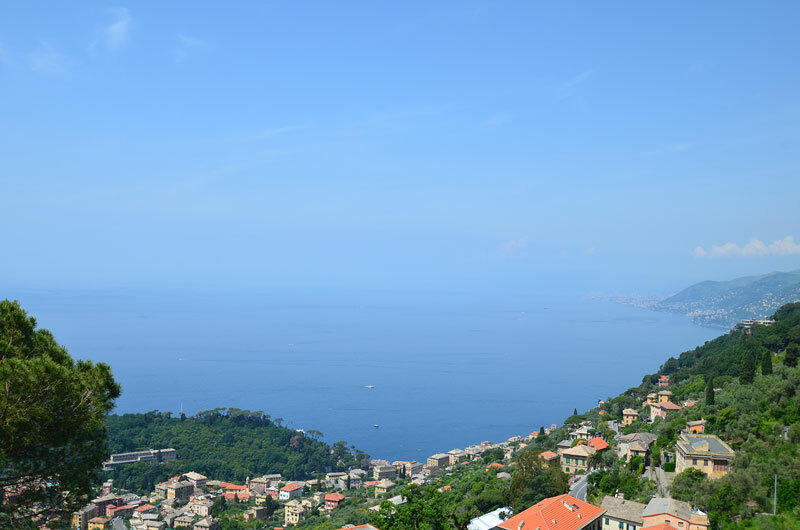 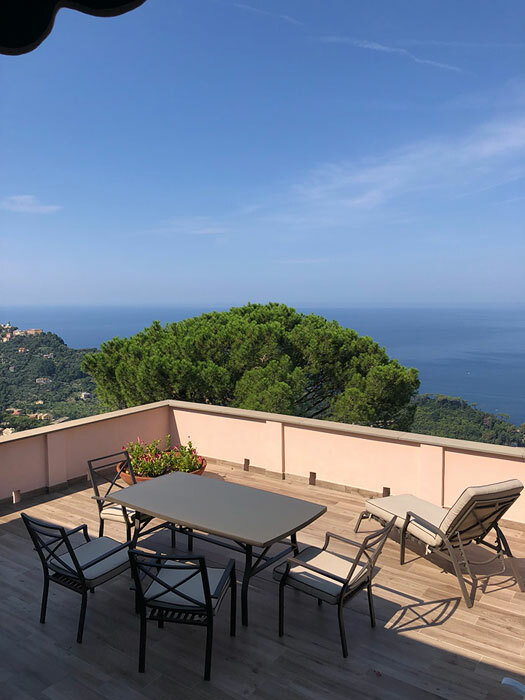 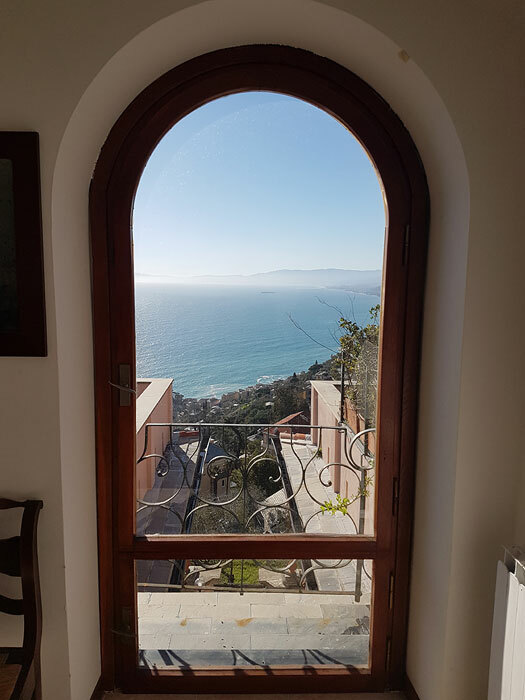 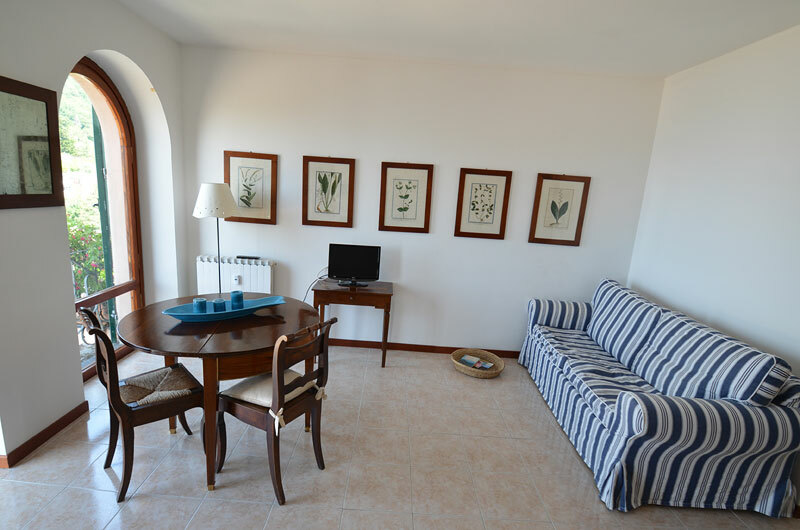 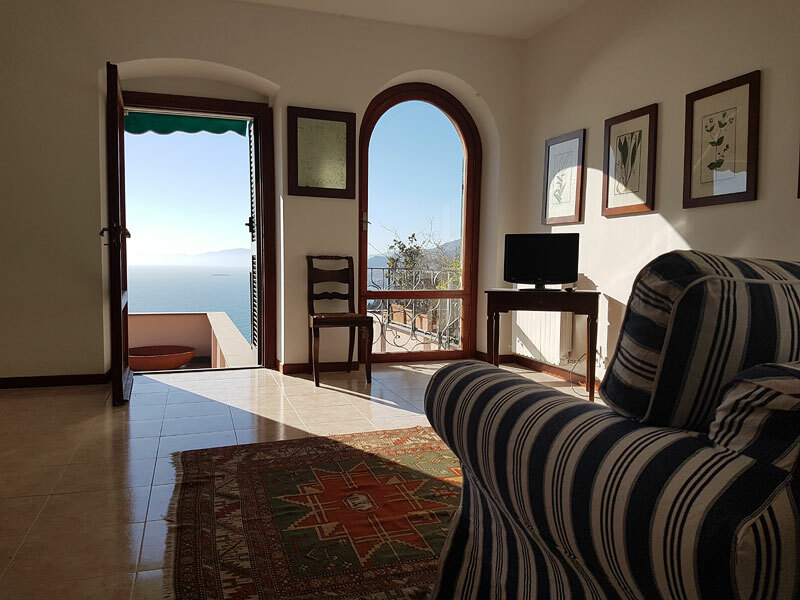 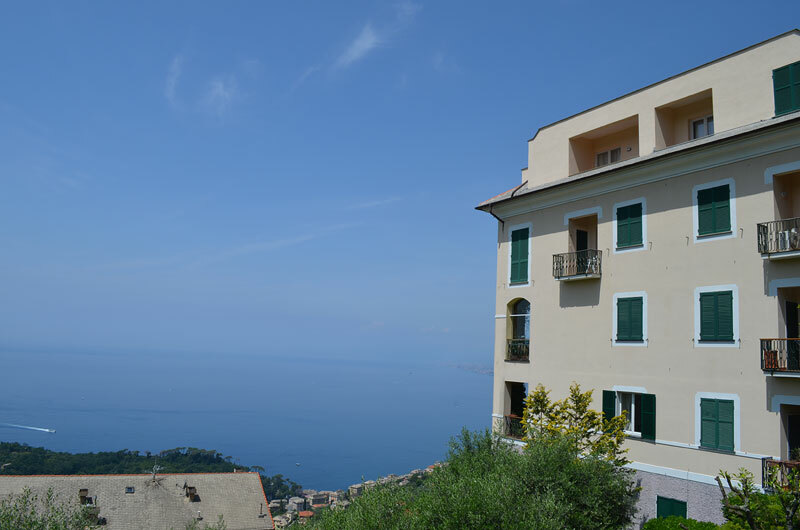 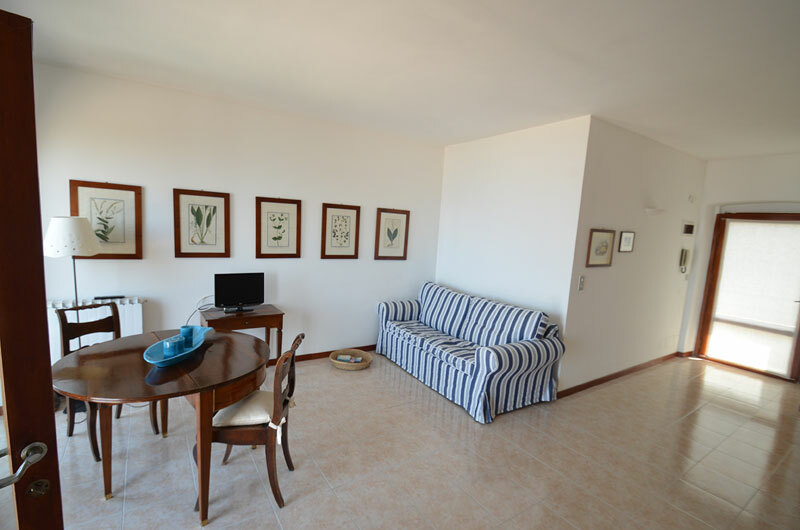 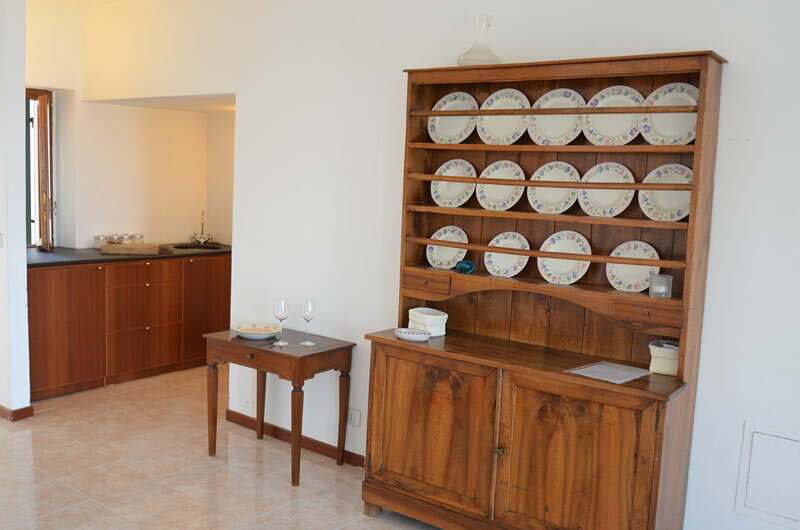 The bright Belvedere apartment is located in a fantastic panoramic position above the Gulf of Poeti and the Golfo del Paradiso. 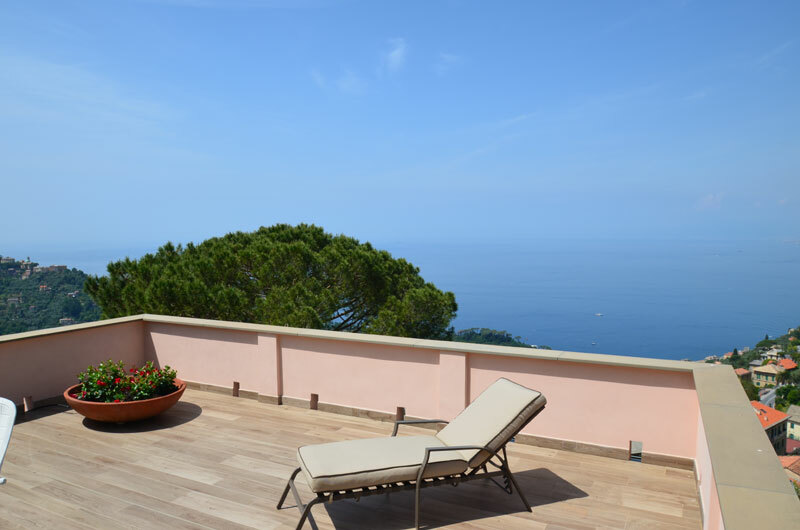 The breathtaking sea view on the 40 sqm large panoramic terrace is incomparable. 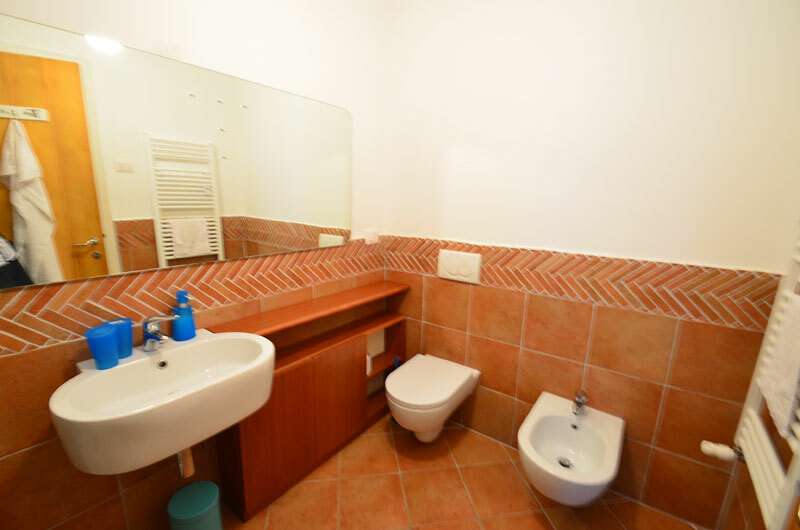 Belvedere is part of a superbly equipped apartment complex. 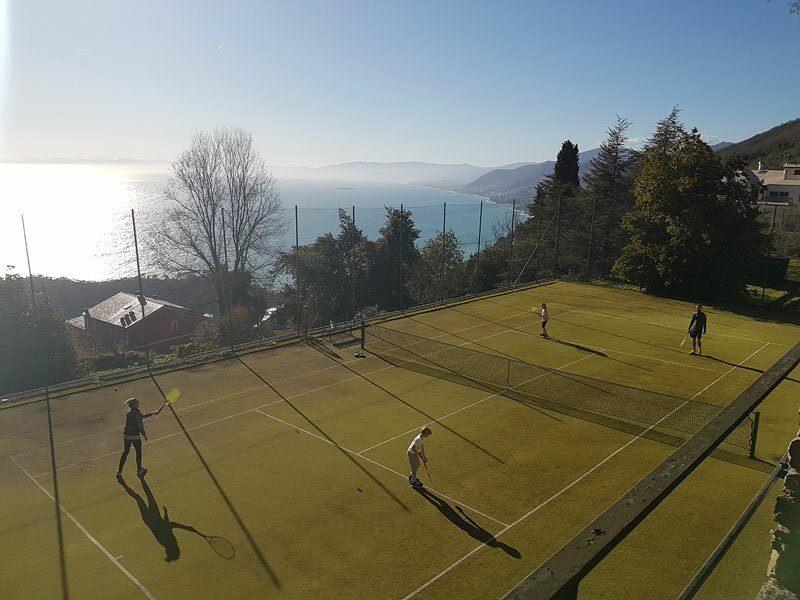 In a well-kept park you will find tennis courts, table tennis, bowling green and a huge pool with sunbathing areas. 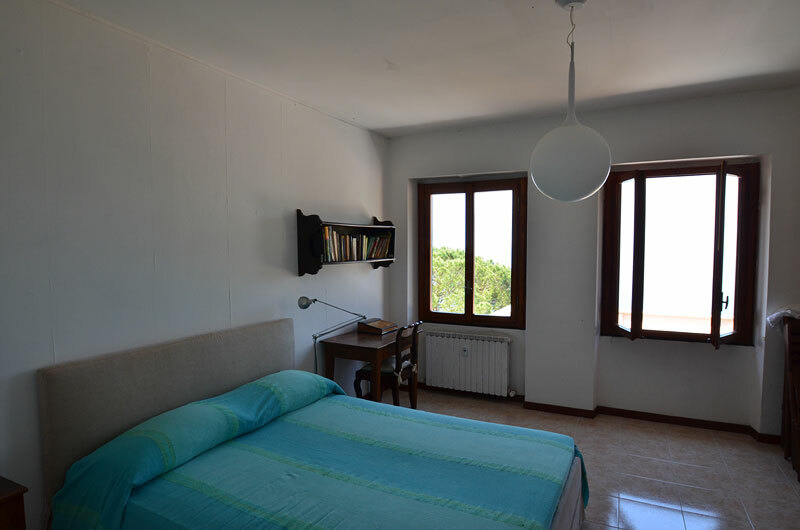 The apartment offers generous space in light-flooded rooms. 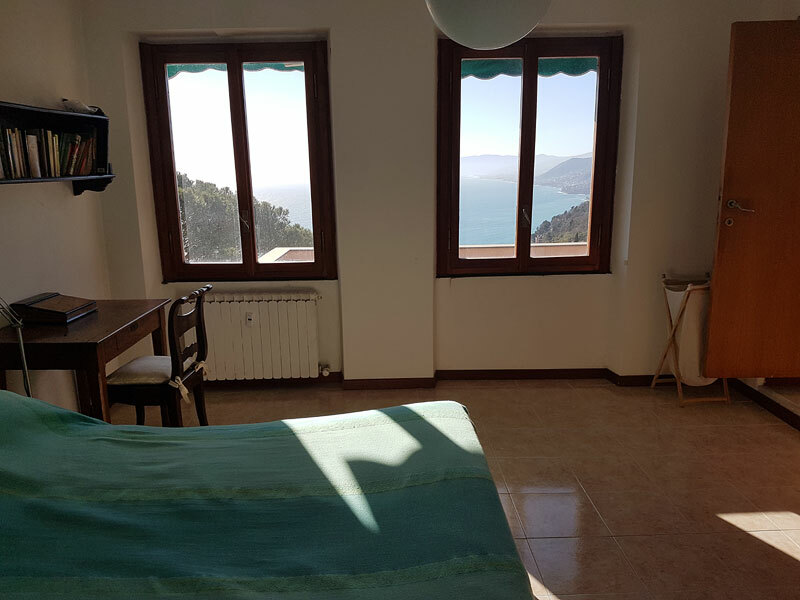 The small but very functional kitchen is on the bright living room with panoramic windows to the sea. 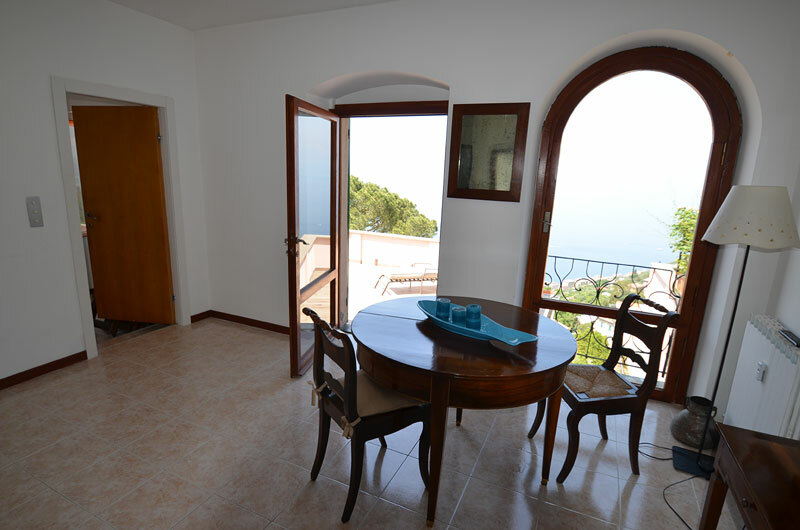 The blue Mediterranean Sea radiates from every corner of the apartment. 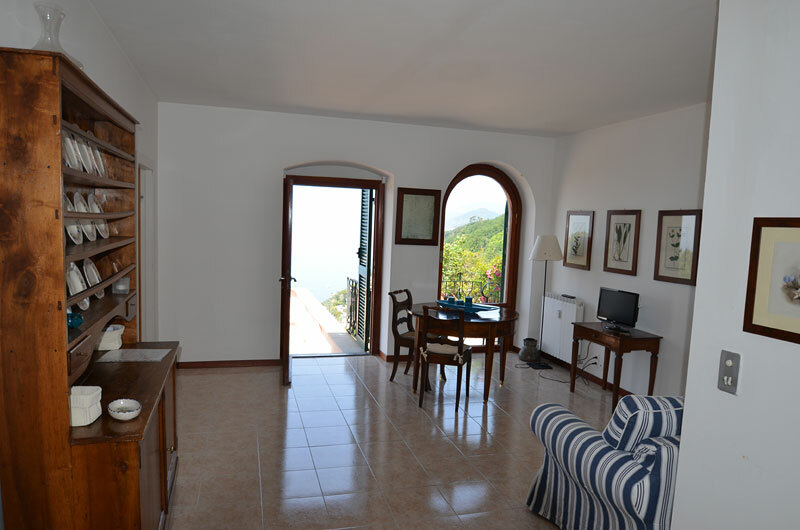 The spacious bedroom (double bed 160x200) offers a wonderful sea view at first glance in the morning. 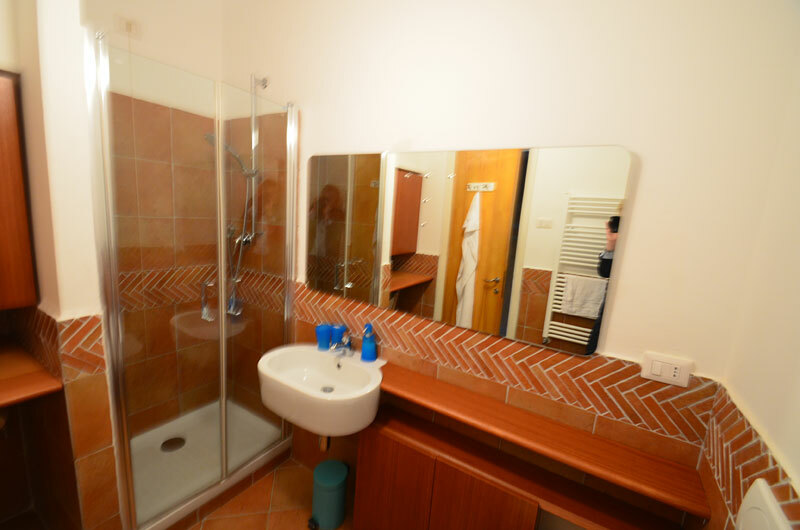 The modern bathroom with shower and a walk-in closet complete the living comfort. 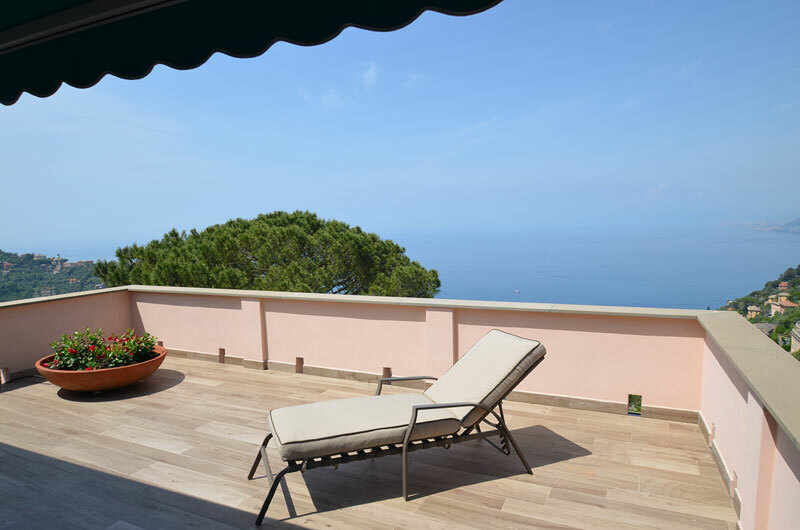 Relax under the shady awning and enjoy the magnificent panorama of the Golfo Paradiso and the famous coastline. 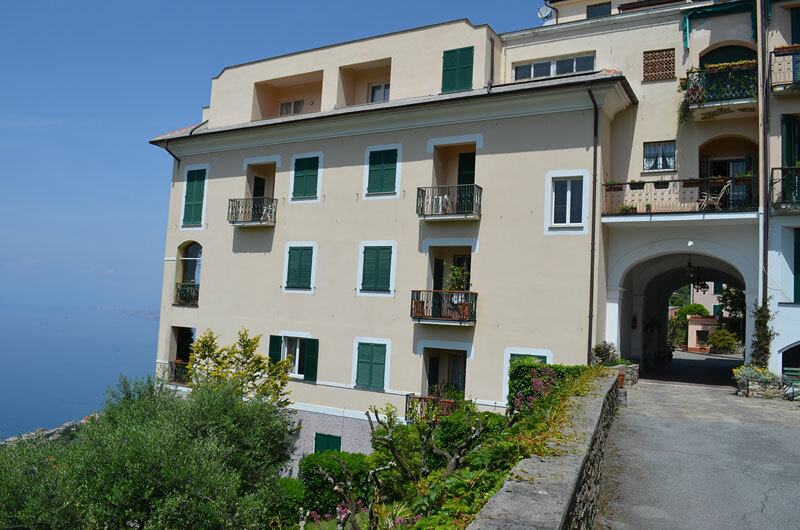 Both the lively town centre of Recco and Camogli, with its famous harbour setting, are within easy reach by bus. 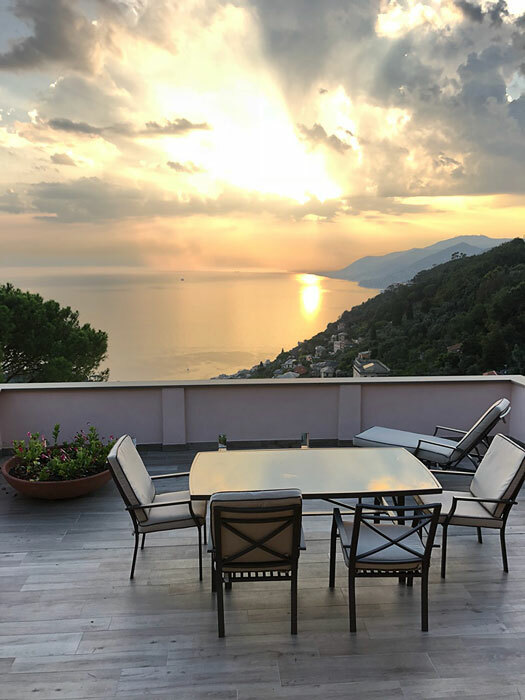 Here you will find everything your heart desires, from high-end fish restaurants to gluten-free pizzerias, from hip cocktail bars to enchanted coffee bars and from colourful weekly markets to elegant boutiques. 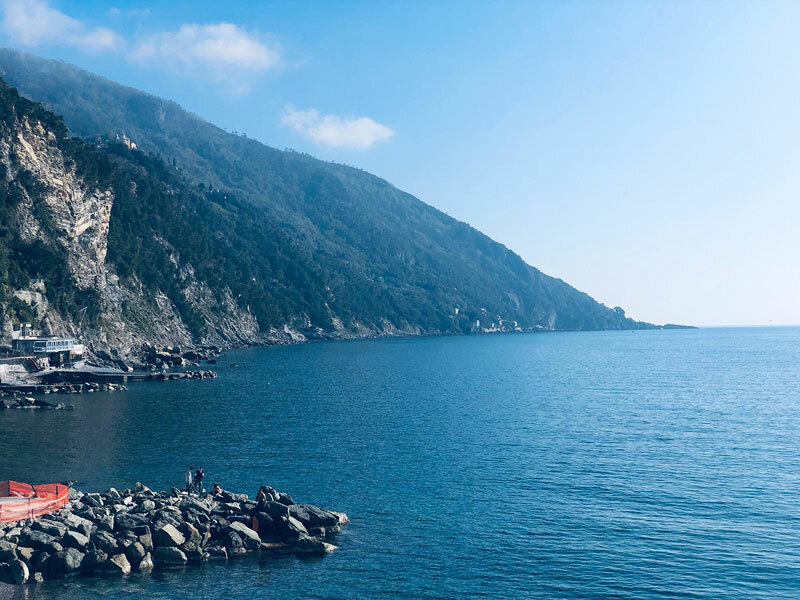 Naturally, the renowned beaches of the region invite you to take a splash. 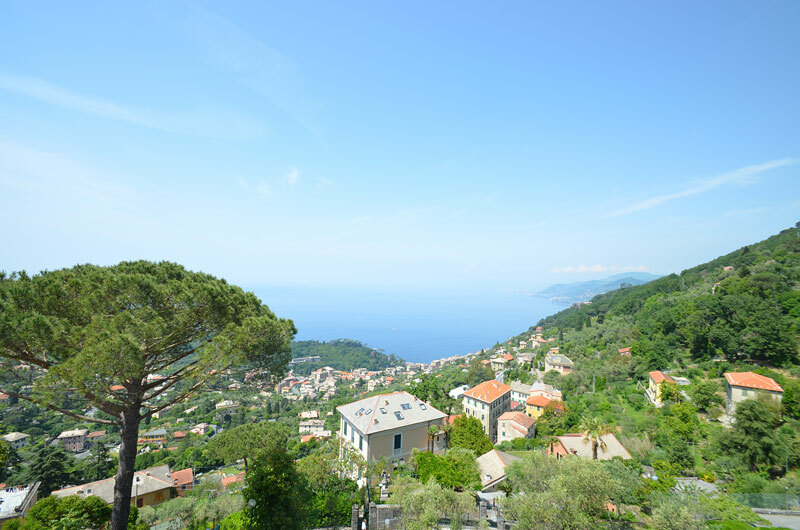 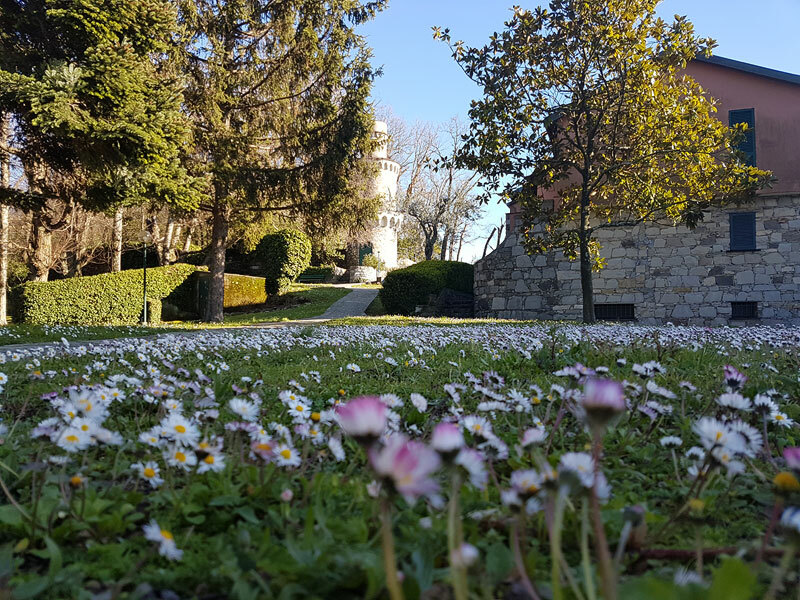 This wonderful region is ideal for a multitude of day trips. 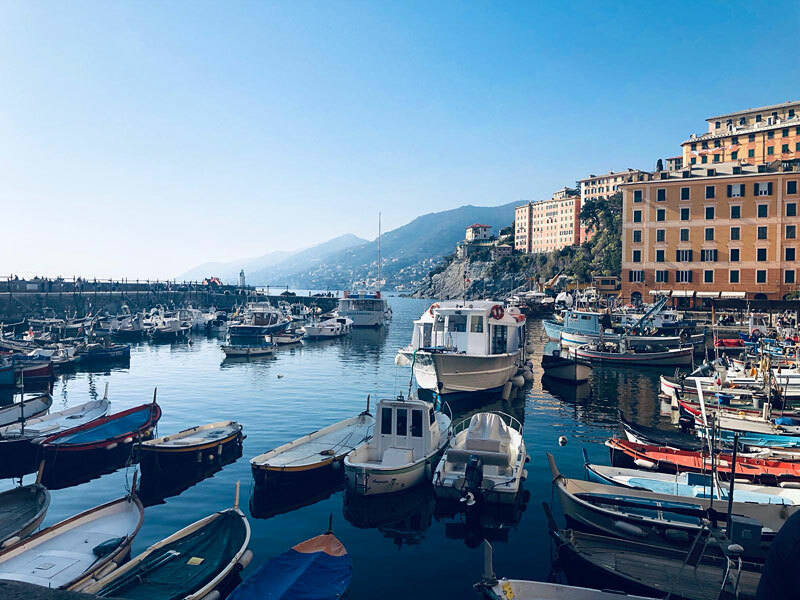 Genoa is only a few km away, the famous resort of Portofino is easily accessible by boat and a stroll through the world-famous villages of the Cinqueterre is virtually obligatory. 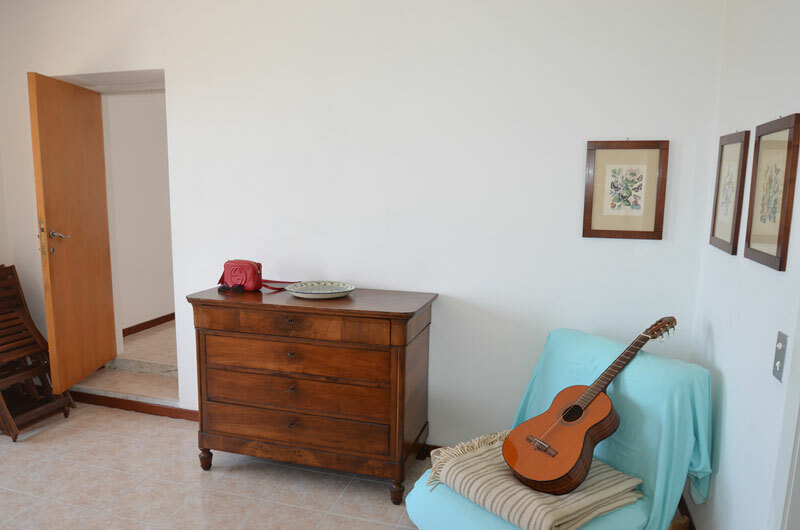 The comfortable central heating also makes relaxing holidays on cooler days possible. 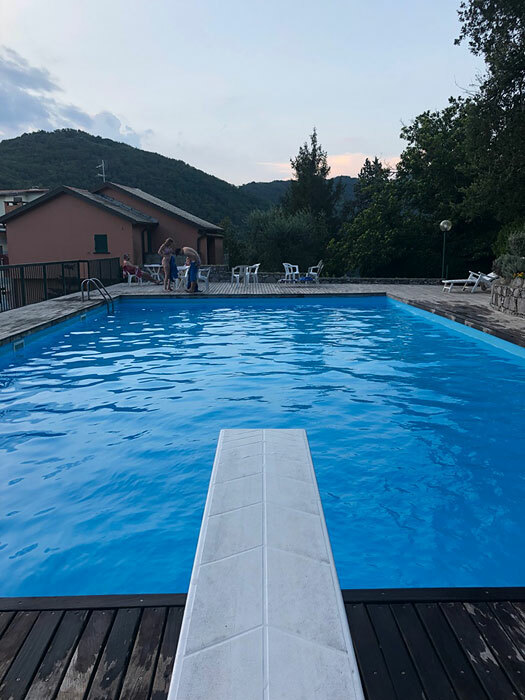 Pool: 7 m x 20 m - open from 15.06.-15.9. 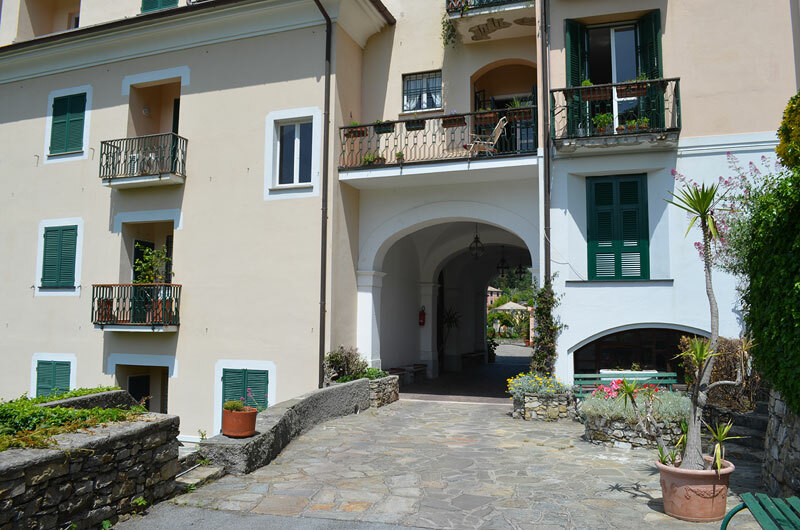 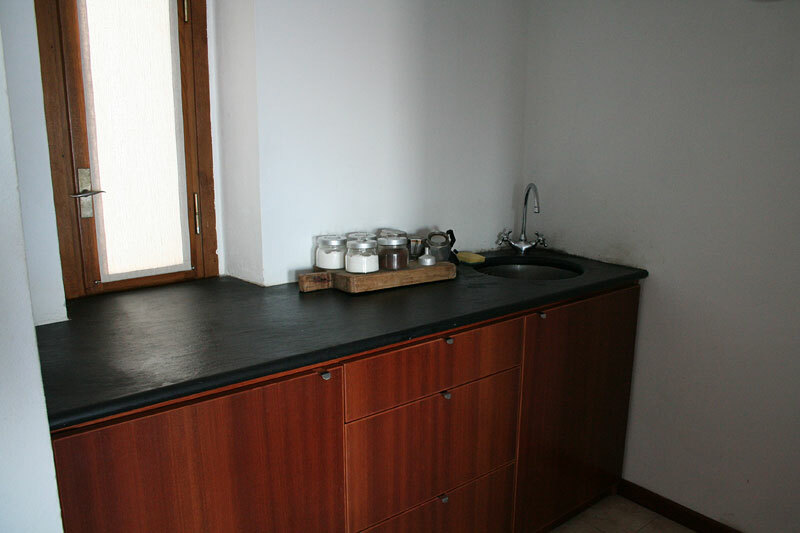 Andrea Biffis, Via Giuseppe Parini 8, Monza, 20900, MB - Maremonti is the broker for this property.